Buying a fence can be expensive, and financing fence is something that most fence companies in Grand Rapids do not offer yet. Pro Fence is proud to be, as far as we know, the first. Sure, you could always go to your local box store and get their credit card, but then you have to settle for their materials and who ever they send out as a subcontractor. PVC Fence, Aluminum Fence, and Wood Privacy Fence can quickly turn into an expensive project, upwards of ten thousand dollars. Giving our customers the choice to finance gives them the freedom to choose the fence they want at a payment they can afford. 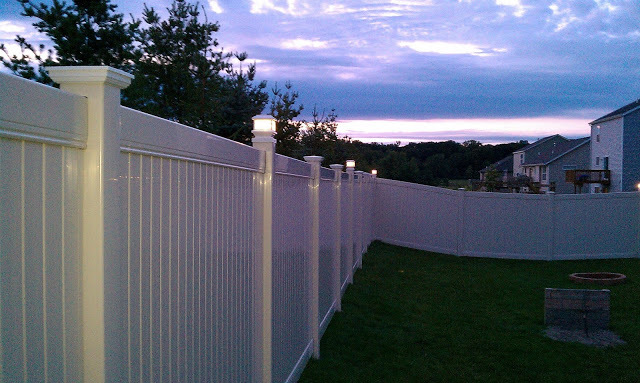 Now you can afford those beautifully lighted post caps, the maintenance free convenience of vinyl fence, and the durability of Ornamental Aluminum Fence. We also do commercial projects, Dog Kennels, galvanized and vinyl coated chain link products in black, chocolate brown, and forest green, wood privacy fence in standard solid privacy, shadowbox, or you can add a trim package to your wood fence to beautify it. Getting the fence you want has never been easier, and financing fence is just as easy as a click to our partner site. We also accept all major credit cards, cash, check, and cashier’s check. 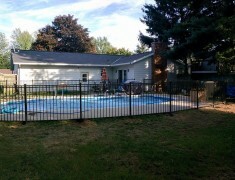 When you put the finance package, our outstanding customer service, multiple easy payment options, the best guarantee in the business, top quality materials and impeccable reputation together you cannot go wrong with giving Pro Fence the opportunity to serve you. Give us a call for your free estimate today! We will send one of our estimators out to give you a free estimate and see how we can be of service to you. We are here to see your project through and take care of the customer after the sale. Don’t forget to check out our Social media pages- Facebook, Google Plus, and Twitter for the latest news and pics of our work. Like us on all three pages for a discount!